At the end of 2014 I took a blogging hiatus to get my blog to where I want it to be, I'm still not there but I have slowly made the changes to help me get there. This year I really want to kick my blogging into high gear, I love the ability to be creative with it my only issue with this is really time management, which I'm still working on but I'm sure I'll manage to make it work. One of the ways I started to get motivated to blog again was through reading helpful tips from other bloggers. 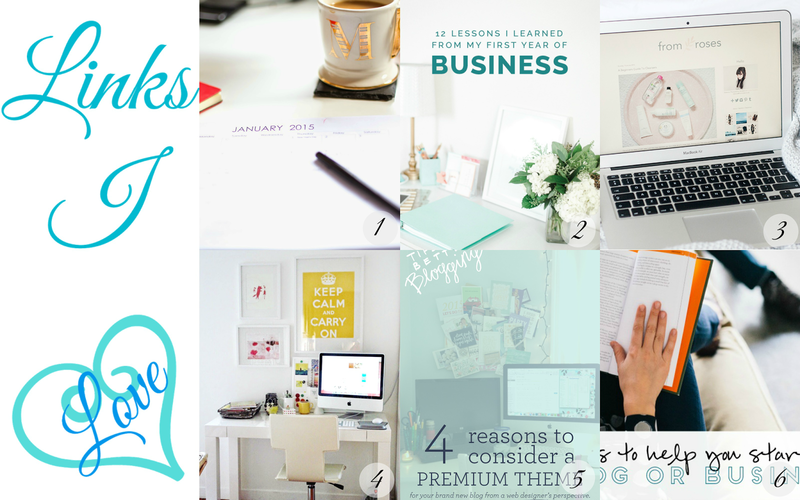 Tips from design to time management to even what other bloggers have learned through their blogging journey. So today I wanted to share some of the articles I've found super helpful, and hopefully you find them helpful as well. What tips do you all have for blogging? 2 comments on "Links I Love: Blogging Tips "
Thanks for sharing! I always read posts that focus on tips.